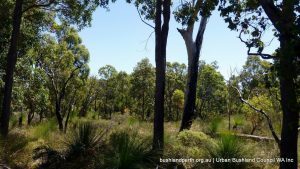 The Urban Bushland Council WA Inc. (UBC) is the peak community organisation for urban bushland recognition and protection and is an association of more than 70 community groups with a common interest in conservation and management of urban bushland. The Council is an incorporated, voluntary, non-government organisation. The Council plays a crucial role in advocating with Government of all levels for bushland protection. Despite numerous statements and commitments by Governments over many years, urban bushland continues to degrade and disappear at an alarming rate. Nevertheless, the Council and its supporters have achieved many great wins in holding back the tide of unacceptable developments but the need to be vigilant and active is relentless. Luckily, the greater Perth area still holds significant tracts and pockets of relatively undisturbed bushland. However, these are continually at risk from clearing by developers and from more insidious impacts of climate change, catastrophic fire events, declining water tables, rubbish dumping, and weed and feral animal invasion; exacerbated by a general lack of public awareness of bushland values. The Council is the key organisation focusing on these threats and provides a public voice on the need for retention of what remains for current and future generations. It does this with limited resources through the amazing efforts of its Friends Groups and its many volunteers from all walks of Perth life; school children through to leading scientists. To promote the recognition and conservation of urban bushland and its biodiversity. To provide a forum for, and support to, local groups. To encourage networking and provide access to ideas, information and expertise concerning bushland. To promote policy development for the protection and management of urban bushland. To provide an avenue for advocacy and seek legislative changes for bushland protection. To raise awareness of the values and problems facing urban bushland. Urban Bushland Council Rules 2018. (Download). A government policy to recognise and protect urban bushland. 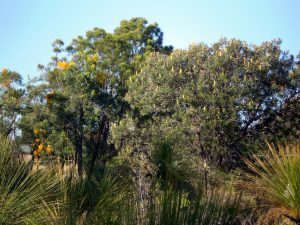 The Urban Bushland Council was formally launched in Kings Park on 21 March 1993. In 1994 the State government released the Draft Urban Bushland Strategy followed by Perth’s Bushplan in November 1998. Then Bush Forever was endorsed by Government in December 2000. 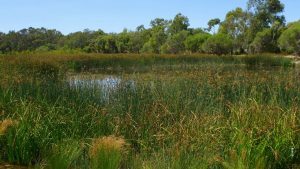 It identifies a series of 287 sites of regional conservation value on the Swan Coastal Plain portion of the Perth Metropolitan Region. However, many of these sites are still not secured and actively managed for the purpose of conservation. Therefore the fight to retain many bushland areas continues. Local action and networking: through supporting community groups to take local action and by providing access to ideas, information and expertise concerning bushland. With its long experience of supporting grass roots community organisations the Council has access to a vast network of contacts and resources, facilitating campaign effectiveness. Policy development: through debate, developing and promoting policy for the protection and management of urban bushland. The Council works consultatively with its member Groups to develop new policy in response to continually changing pressures on the urban environment. Advocacy: by providing an avenue for influence by submissions, letter writing, delegations and media contact seeking bushland protection at sites under threat. The Council regularly meets with elected representatives and government agencies at senior levels to promote its key aims and to promote a collaborative approach to resolving issues. Raising public awareness of the values and problems facing urban bushland. The Council does this in a multitude of ways: with expert speakers at regular Council meetings; by organising major symposiums on topical issues; using social media as a tool for communication and awareness raising; and through providing training in bushland custodianship. Join a Group. The Council has more than 70 member Groups across the metropolitan area. Click here (Groups) to find a Group near you. Come to an event. Click here (Events) to check for the upcoming events. Set up your own Friends Group. (here are some handy hints). Download a set of notes compiled as a resource to assist you to set up a new Friends group. (Download). Download a copy of a “Friends Group Manual” published in 2003 by the Shire of Mundaring to provide guidance to volunteers involved in bushland management on Shire vested reserves. (Download). Click here for information on how to protect yourself and your Group through becoming an Incorporated Association. Nominate for our UBC Committee through your local Member Group. The Committee meets at 7:00 pm on the third Tuesday of each month at ‘The Old Observatory’, National Trust building, 4 Havelock Street, West Perth. Educate and advocate with your local Members of Parliament. By permission of the Wilderness Society. (Download). Be involved in a Citizen Science project coordinated by an organisation such as Bird Life Australia or the Conservation Council of WA or Atlas of Living Australia.